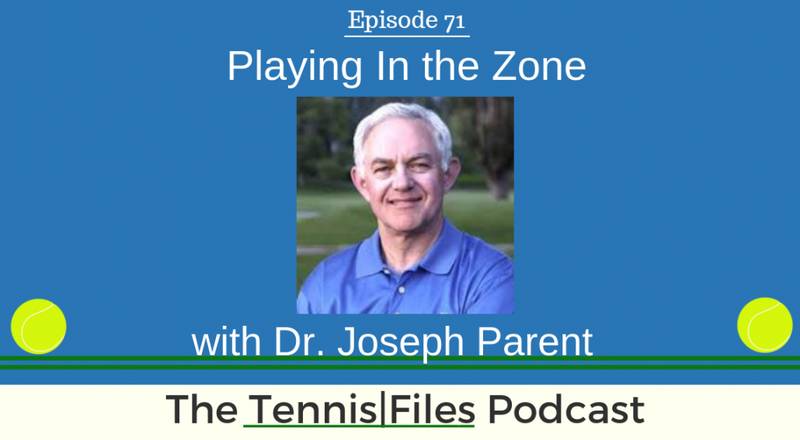 On Episode 71 of The Tennis Files Podcast, I spoke with Dr. Joseph Parent about how we can play in the zone. Dr. Joseph is the author of Zen Tennis: Playing In The Zone. We talk about everything from why players have trouble playing well in matches vs practice, breathing exercises to help you relax and achieve optimal performance, practicing playing big points, mental fitness, and more! This episode is a really important discussion about a highly overlooked part of tennis, the mental game, and I highly encourage you to hit the play button above to listen to it! In addition to Zen Tennis, Dr. Joe is also the author of Zen Golf: Mastering the Mental Game, Zen Putting: Mastering the Mental Game on the Greens, The Best Diet Book Ever: The Zen of Losing Weight, How to Make Every Putt: The Secret to Winning Golf's Game Within the Game, and A Walk In The Wood: Meditations on Mindfulness with a Bear Named Pooh. It was a pleasure speaking with Dr. Joe on the podcast, and I know you'll learn a lot of valuable information that will help you improve your mental game and perform better on the court. Many thanks to Dr. Joe for coming onto the podcast! Let us know what you think about this episode in the comments below! [24:27] What is mental fitness, how does it help us and how do we develop it?